While we are still in the thick of tarpon fishing in Key West, this past week has seen more of a focus on other species, both in the shallow flats areas and the deeper offshore fishing sites. 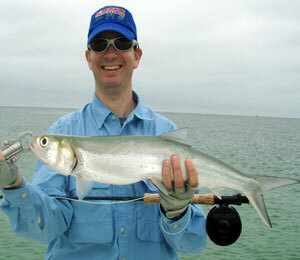 It has been reported that while flats fishing in Key West, the permit have been the biggest catch. 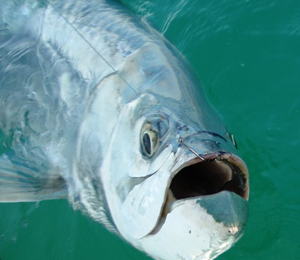 Spring is an excellent time for permit fishing in Key West . You can catch these suckers on the offshore trips, but the unique style of fishing in the flats makes for an interesting permit fishing experience. 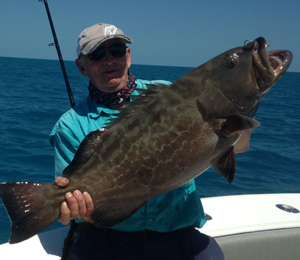 Our top-notch roster of Key West fishing captains are all locals who fish in these waters year-round. They know these waters like the back of their sun-burnt hands. So you can be sure that when you are going out fishing with one of these guys, you will be getting the best possible Key West fishing experience! Key West deep sea fishing has been catching have been big! Two of our captains came back last week with report of nearly 50-pound dolphin mahi-mahi catches! Other larger species they've caught out in the offshore waters include wahoo, sailfish, snapper, and grouper. On one sunset trip early last week, our captain and his happy customers came back with a report of eight Silver King catches. The action is as full and exciting as ever down in Key West. It straight up feels like summer time and we are gearing up for the busy Memorial Day weekend!